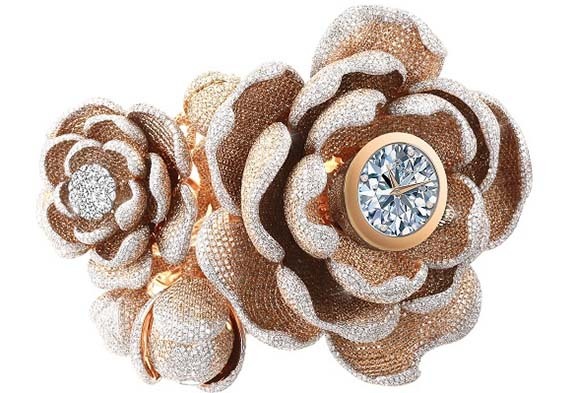 Gleaming with 15,858 diamonds set in 18-karat gold, Coronet’s “Mudan” timepiece just scored a Guinness World Record for the “Most Diamonds Set on a Watch.” The title was awarded during Baselworld, the six-day Swiss trade fair that concludes today. The diamonds, weighing a total of 50.01 carats, embellish a design inspired by the beautiful and fragrant peony. Known as the “king of flowers” in Chinese culture, the peony symbolizes nobility, honor and wealth. “Mudan” is the Chinese word for peony. 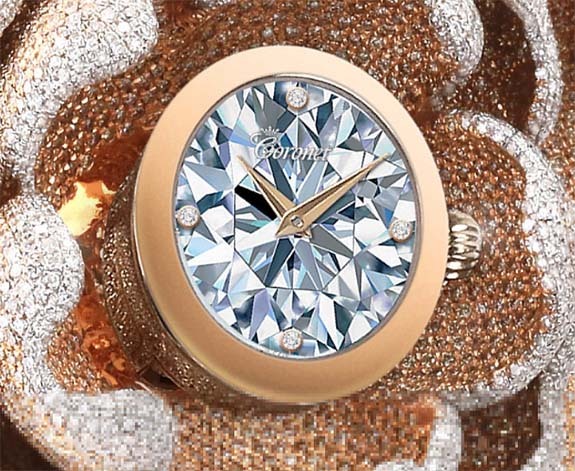 The impressive, hyper-realistic rendering of a faceted diamond on the watch dial is the work of artist and jewelry designer Reena Ahluwalia. The dial has actual diamonds set at the 3, 6, 9, and 12 hour positions. This is the ninth time Coronet has claimed a Guinness World Record. 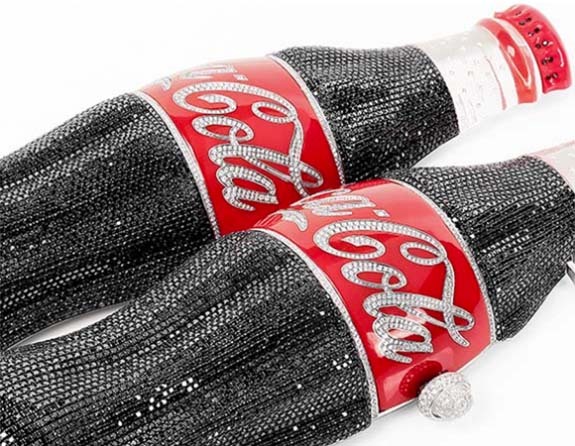 In 2018, a Coca-Cola bottle-shaped handbag adorned with 9,888 diamonds became the official title holder in the category “Most Diamonds Set on a Handbag.” The handbag was conceived by Beverly Hills Designer Kathrine Baumann and fabricated by Coronet parent company Aaron Shum Jewelry. In 2016, the company set a record for the “Most Jewels on a Guitar” when it customized a Fender American Deluxe Jazz Bass with 16,033 Swarovski gemstones, including topaz, citrine, rhodolite and cubic zirconium. In 2015, Coronet created the world’s “Most Valuable Guitar,” a Gibson glittering with 11,441 diamonds weighing 401 carats and valued at $2 million. Credit: Images courtesy of Coronet.